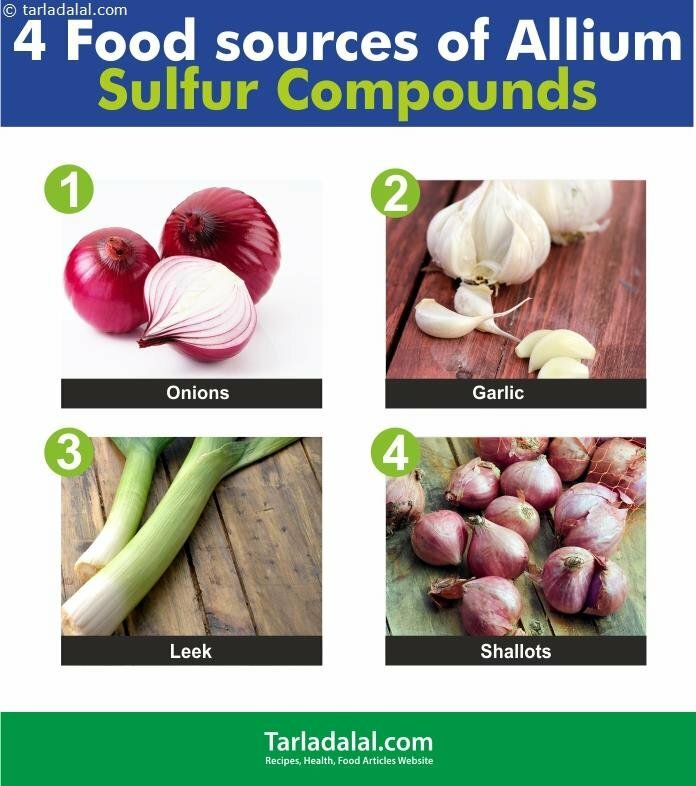 What are Allium sulfur compounds? What makes onions and garlic super foods? What are Allium Sulfur Compounds? Think of all your favourite recipes and you are sure to find onions and garlic. This family of veggies belong to Allium genes. They have a very pungent flavour and distinctive odour due to the presence of Sulfur compounds in them. These super foods are inexpensive and not very difficult to add on to your daily diet. Well, a lot of people complaint about the tears that roll down the eyes while chopping onions. To avoid this, just freeze them 15 minutes before chopping and use a very sharp knife for chopping them. What makes Onions and Garlic super foods? How to benefit the most from onions and garlic? While any form of these allium rich foods are beneficial to us, the best way is to have them raw. Add them to your salads and enjoy their distinct flavour and texture. However, do not miss out on adding them to your cooking pot too. Freshly chop them and sauté them for a while and not too long. While it is true that there are supplements available in the market, but cannot replace their raw form. Go ahead and take benefit of cooking your favourite delicacies using these year –round available vegetables.